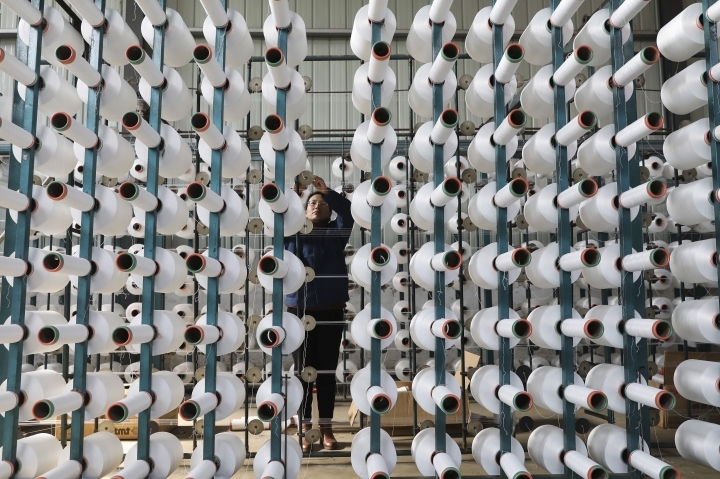 BEIJING — China's manufacturing improved in January but activity was sluggish, a survey showed Thursday, as U.S. and Chinese negotiators wrangled in Washington over a tariff war. A measure of factory activity issued by the government statistics agency and an industry group rose 0.1 points on a 100-point scale but stayed below a level that shows activity expanding. 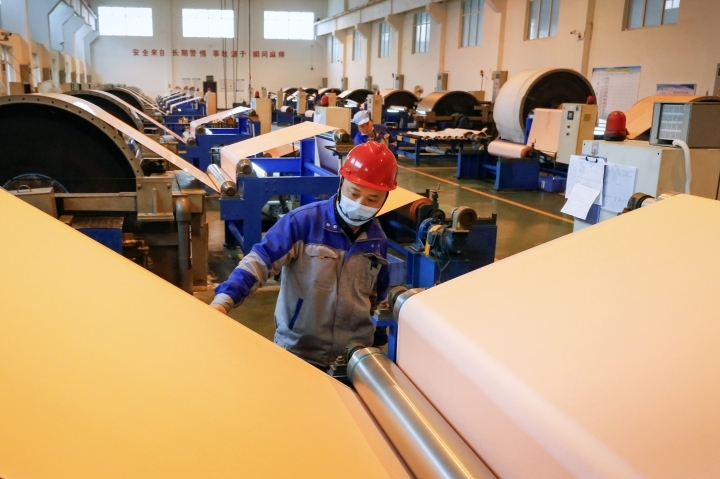 Measures for employment and domestic demand weakened. 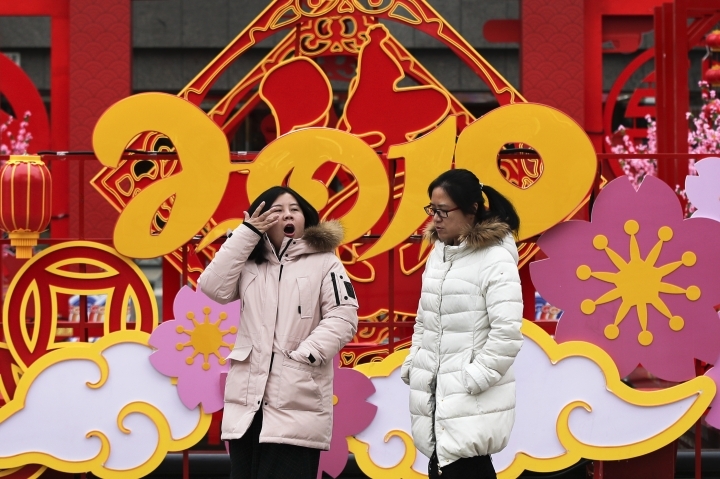 China's economic growth sank to a three-decade low of 6.6 percent in 2018 after activity in the final quarter of the year dipped to its lowest level since the 2008 global crisis. "We see economic growth remaining sluggish" through mid-2019, Citigroup economists said in a report. "We believe the government will step up efforts to keep the labor market stable." Chinese and U.S. negotiators began talks Wednesday in Washington aimed at resolving the fight over U.S. complaints about Beijing's technology ambitions. No details were announced. Business groups see a decision by the top U.S. and Chinese trade envoys to take part as a positive sign, but economists say this week's meeting can at best make limited progress toward resolving sprawling irritants. President Donald Trump jolted Chinese manufacturers in July when he started hiking tariffs on billions of dollars of goods in response to complaints Beijing steals or pressures companies to hand over technology. Trump and his Chinese counterpart, Xi Jinping, agreed on Dec. 1 to postpone further punitive action for 90 days while they negotiate. But penalties of up to 25 percent already imposed on tens of billions of dollars of each other's goods stayed in place. Exports to the United States shrank 3.5 percent in December from a year earlier as Trump's penalties began to depress demand. Communist leaders are trying to steer China to slower, more self-sustaining growth based on consumer spending instead of trade and investment. 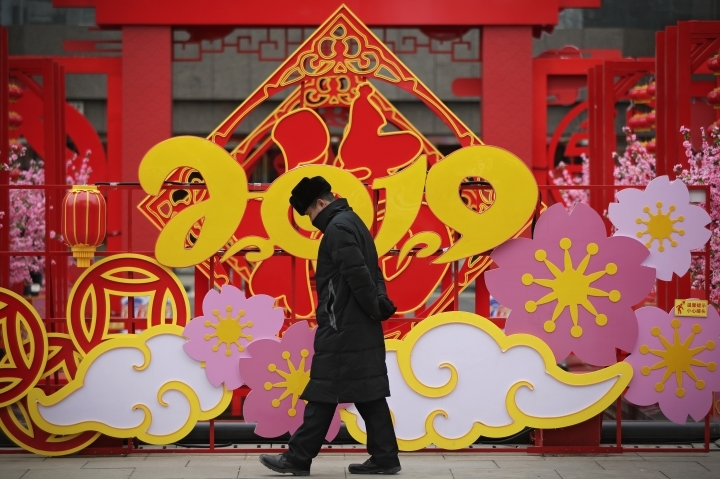 The deceleration has been sharper than expected, prompting Beijing to step up government spending and order banks to lend more to shore up growth and avoid politically dangerous job losses. News of layoffs and lower sales of autos and real estate may have helped worsen the downturn by unnerving consumers, causing them to postpone spending. The monthly purchasing managers' index of the National Bureau of Statistics and the China Federation of Logistics & Purchasing improved to 49.5 from December's 49.4. The employment index declined 0.2 points to 47.8, showing more producers cutting jobs. The measure of new orders declined 0.1 points to 49.6. Inventories rose, but ING's Robert Carnell cautioned that might reflect trade tension instead of economic strength as companies stockpile goods, anticipating possible further tariff hikes. "It probably shouldn't be read positively," said Carnell in a report. "It may have to be unwound in the months ahead." Chinese leaders are trying to reduce reliance on trade and nurture self-sustaining economic growth based on domestic consumer spending. But their plans call for keeping exports stable to avoid politically dangerous job losses. Some companies have shifted production of goods bound for the United States out of China to avoid Trump's tariffs. Others are lining up non-Chinese suppliers of industrial components.